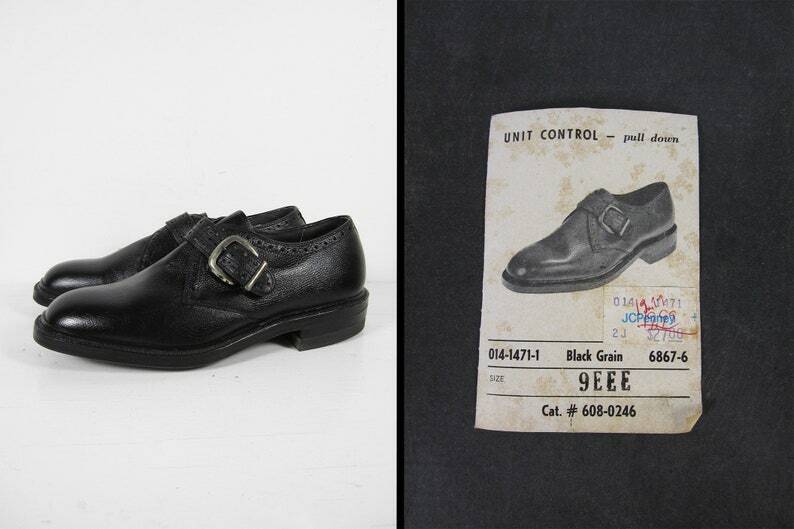 These monk strap shoes were originally sold by JC Penney and are in deadstock condition, having never been worn. They feature adjustable buckle straps, Goodyear heels, and original box with info card. Please compare the measurements below to your favorite shoes before purchasing.